Investing into a powerful off road winch can provide you with a lifeline whenever you or others become stuck. Depending upon your budget, most winches have a pull rating from as low as 4,000 to 20,000 LB. The best winch is the Smittybilt 97495 XRC Winch, which uses a 6.6 HP amphibious motor with a pull rating ranging from 9,500 to 17,500 LB. In order to improve safety, many winches are now available with either a synthetic winch rope. Unlike a steel cable winch, the synthetic alternative does not have stored energy, which means it will not whip back in the event of the cable breaking. Investing into a quality winch can not improve your abilities whilst off roading but also be far easier to use. With features such as free spooling, multiple stage planetary gear trains and also lightweight designs. It may be tempting to purchase the most powerful electric winch available but this will come with added weight. If you still want to retain factory performance, you will want to choose a lightweight winch that pack enough power for your requirements. The type of winch you require is dependent upon a few variables that are different for certain vehicles. Below is a list of the best 4×4 winches that are available in a range of different sizes and pull ratings. Smittybilt is by far the most popular winch brand with a variety of different options available. They offer their 97495 XRC winch with a starting load capacity of 9,500 LB to an impressive 17,500 LB. There is even the option of choosing a synthetic winch rope instead of the steel cable. There is two separate warranties that Smittybilt include, which are a 3 year electrical warranty and a lifetime mechanical warranty. Compared to other cheaper winches, this is great for your own peace of mind. Overall, the Smittybilt 97495 XRC is the best off road winch for the money and can be used for a variety of scenarios. The choice of winch load capacities available means that you are able to find one to suit your requirements. The Warn 96820 VR12000 is the ultimate winch for 4×4 owners without a budget in mind and simply want the best. As the model suggests, it has a pull capacity of a huge 12,000 LB from a 12V DC, series wound motor. The control pack can be removed and mounted in a location of your choice so that you can operate the winch from wherever you want. The wired cord that does come with this winch is 12 foot long that can also be modified to run with a wireless adapter. The Warn 96820 VR12000 is the best off road winch you can buy but if you are on the budget, the Smittybilt 97495 XRC would be your best buy. The Champion Power Equipment 145600 is an affordable winch that is capable of pulling 4,500 LB from a 1.6 HP permanent magnet motor. It is the ideal winch for small to medium sized off road trucks or SUVs. Overall, the Champion Power Equipment is a lightweight winch that packs a great amount of power for a compact design. The wireless remote along with various other features make it ideal for a variety of different applications. As you can probably tell from the brand name, Superwinch specialize in winches and produce a wide variety. The 1510200 LP10000 is their flagship model that is designed for enthusiasts requiring maximum performance. Overall, the Superwinch 1510200 LP10000 is a one of the most top rated winches on the market. The brand itself specializes in winches and produce a variety of different pull ratings. The 1510200 LP10000 is the more expensive but its worth paying the extra for as you never know when it may be required. Many off road enthusiasts and brands such as OFFROAD BOAR are moving towards synthetic rope winches in an effort to improve safety. However, other leading brands such as Smittybilt and Warn charge a premium price for synthetic rope winches. Considering that most synthetic ropes cost the total price of this winch, it makes the OFFROAD BOAR excellent value form money. With an impressive pull rating and excellent waterproof resistance, it makes for a great all-round winch. When it comes to proper off roading in the mud or even rock crawling in your truck, you will more than likely require a winch. Getting stuck in the mud is fairly common and no matter how good your all terrain tires are, they can always become stuck. 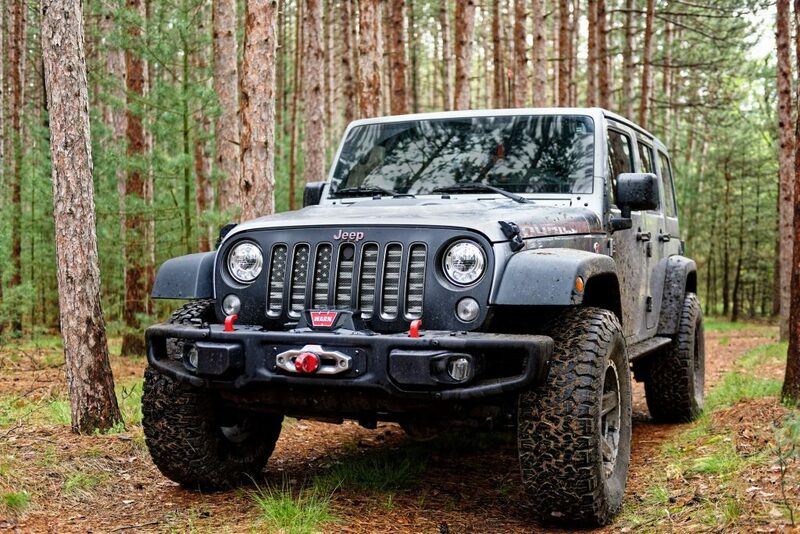 Smittybilt, Warn and SuperWinch dominate the market with various winches available. There are some that are lightweight with adequate pulling power for most applications but there are much larger winches that offer 20,000 LB pull ratings and higher. To help you make an informed buying decision, we have produced the below buying guide regarding truck winches. The pulling power of the winch will be dependent upon the type of usage. The most popular pull rating is usually the 12000 LB winch, which will be able to pull trucks and large SUV’s out of any tricky situations with ease. Choosing a low pulling capacity winch that is used for pulling weight much larger than the capacity can be problematic. Not only could the cable snap but the stress on the internal components of the winch can break, which will be an expensive fix or may even break it completely. In order to achieve high pull ratings, you will need a larger motor, which will result in a heavier winch. This can cause too much weight at the front of the vehicle, although most large trucks or SUVs may not suffer from handling issues. Investing into a lightweight winch that packs a lot of power will certainly cost more. However, if it does not effect handling of the vehicle, its a worthwhile investment. A very important factor before buying a powerful electric winch is whether or your not your front bumper is prepared for the weight. An electric winch can be fairly heavy and cause stress on the front bumper, which may cause issues if its not rigid enough. The best front bumpers for winches are usually reinforced and have dedicated locations for the winch to be mounted. 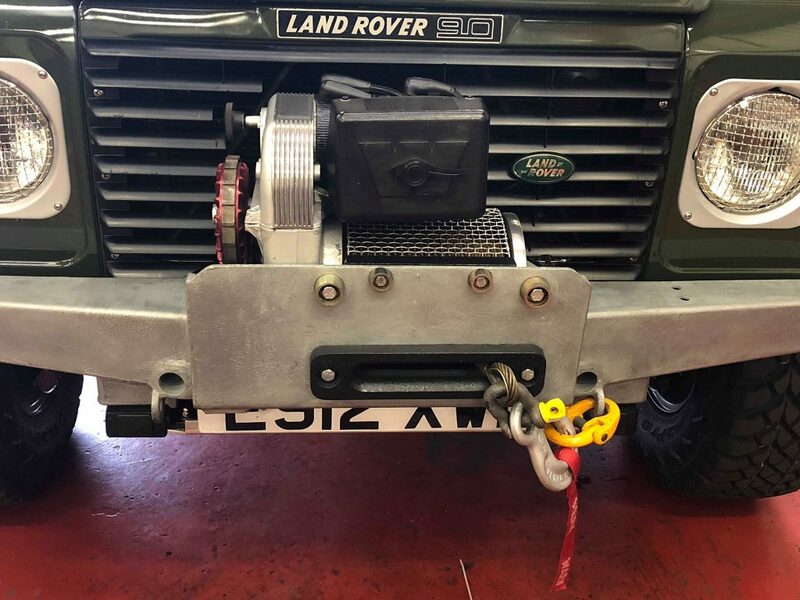 There are a range of custom bumpers available to mount your winch onto and its important that you find one that will hold the weight of the winch. Most winches range anywhere from 70 LBS to 200 LBS for the more powerful versions. The two main different types of winches are a hydraulic operated and electric winch. As you will see within all of our recommended winches, they are all electrically operated and for good reason. They are not only cheaper than the hydraulic alternative, they are also far easier to use and install. Hydraulic operated winches do have their benefits as they can be used for much larger weight capacities. They will also not overheat as there is no electrical current within the motor, which under heavy usage can heat up. After choosing one of the electric off road winches above, you will be wanting to know how to install the winch. Its critical that you install it correctly otherwise your winch will not work correctly and you could potentially damage your vehicle. The last step is often left out but its essential to ensure it is tightly spooled on the winch drum. Some manufacturers will supply the winch with the cable correctly spooled already but some do not. Regardless, you should unspool the majority of it and spool it up by attaching the winch to a heavy object and starting the winch. Instructions will be supplied with your off road winch on how it should be correctly setup. If your bumper does not have a hitch available, you will need to buy a “winch bumper” with many available at different budgets. Another aspects that can be forgotten is that a winch uses a lot of power and will therefore require a high powered car battery. Some people also like converting their off road winch to a wireless controlled winch with a slight modification. One verified method of doing this is by using the Mile Maker 7076 and following the instructions but it is usually plug in and play. Thanks to the advancements in synthetic technology, many off road users are choosing a synthetic winch rope instead of a steel cable. The safety benefits should be enough to make you considering changing but there are many more benefits too. The main issue with steel cables is the fact that they store energy. This means that in the unfortunate event of the cable snapping, it could whip back uncontrollable and cause serious damage. The synthetic alternative does not store energy and it will harmlessly fall to the ground. Synthetic materials have been used within the some of the best tow straps for many years now and winches are now available with this option too. Compared with many of the older winches from around 10 years ago, the latest include several safety features to prevent injury. Investing into a top rated winch for your truck, SUV for 4×4 vehicle is an essential for most enthusiasts. There is a wide variety of winches available but we highly recommend choosing one from either Smittybilt, Warn of SuperWinch. These are trusted brands within the off road community and they produce a various winches that provide different performance in terms of pulling power or lightweight designs. All of the recommendations within this articles are suitable for a range of pulling power requirements and budgets. 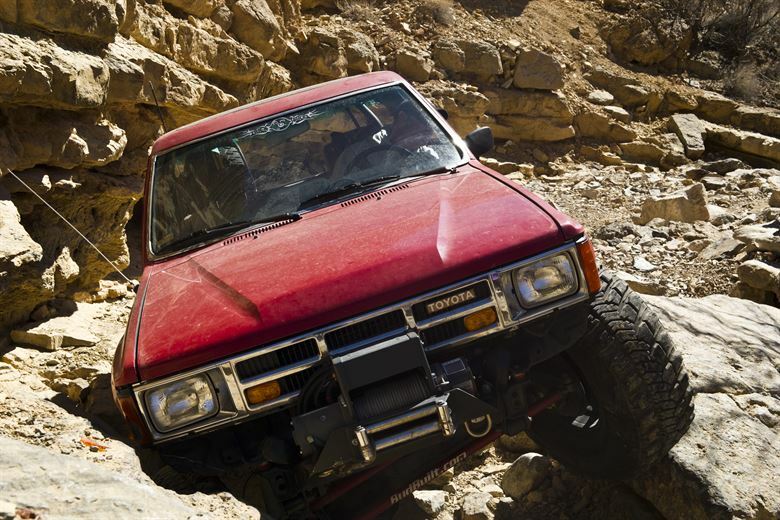 Installing a winch can be the best modification you make to your truck and can get you out of trouble when stuck.